How to create HTML sitemaps using RSSeo! Home / Support / Documentation / RSSeo! / Troubleshooting / How to create HTML sitemaps using RSSeo! Sitemaps help search engines to better understand the website structure and also help crawlers easy discover fresh content. RSSeo! allows you to generate HTML sitemaps. RSSeo! 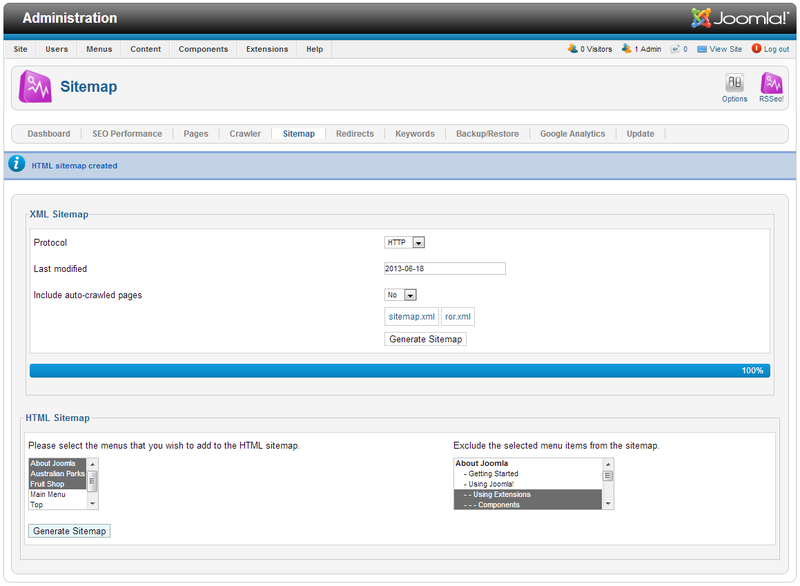 has a built-in HTML sitemap option. 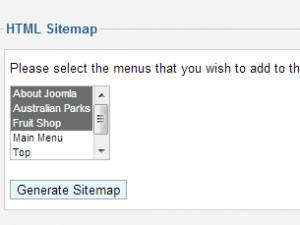 Just select the menu items that you wish to include or exclude from the sitemap and hit the "Generate" button. How to create XML sitemaps using RSSeo!